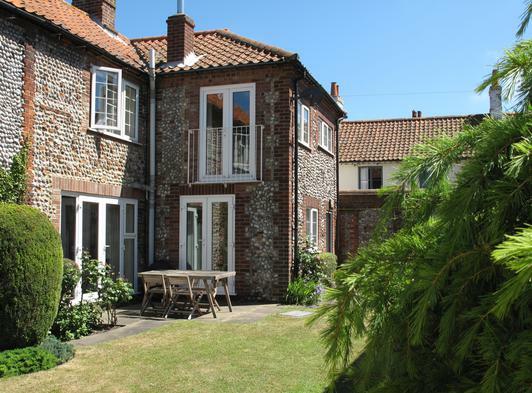 In the unspoilt conservation village of Cley this wonderful, well furnished and equipped family owned self catering flint cottage has two bedrooms and sleeps up to three people (double and single). 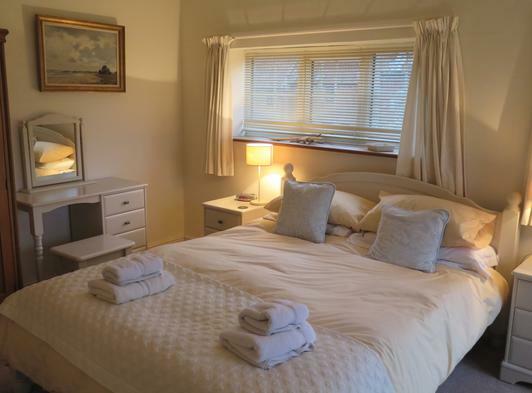 It is ideal for a couple, as it has a spacious main bedroom with a lovely view. 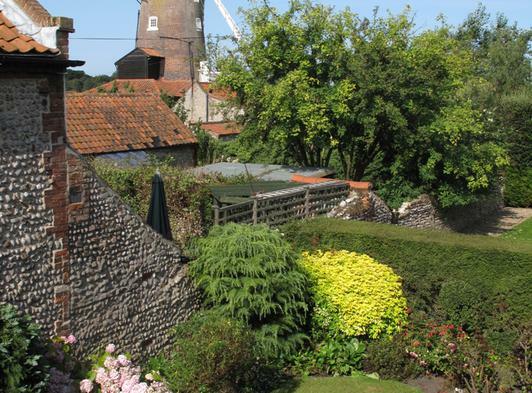 The centrally heated cottage is over two floors, with plenty of living space, with a garden overlooking the historic Cley windmill, marshes and it is one minutes walk from the paths through Cley Nature Reserve, marshes and to Cley beach. 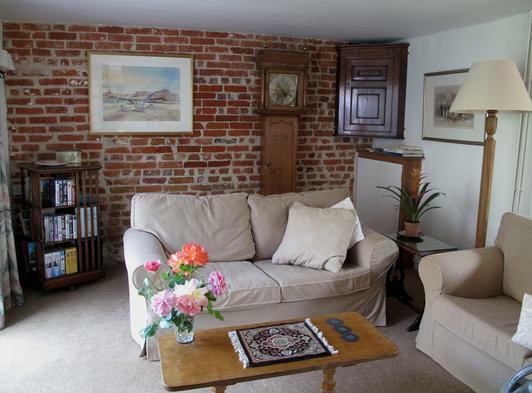 The ground floor of the cottage has a large lounge with TV and DVD and comfortably seats everyone. 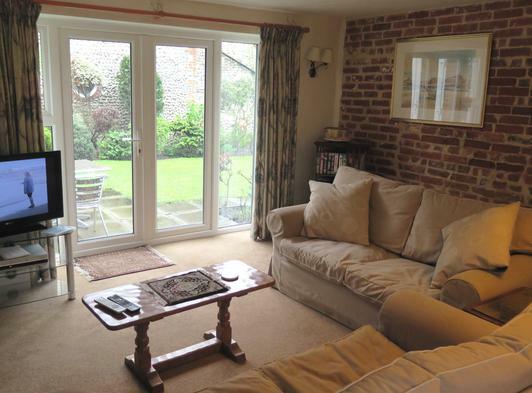 It opens onto the garden through French doors. There is a separate dining area. 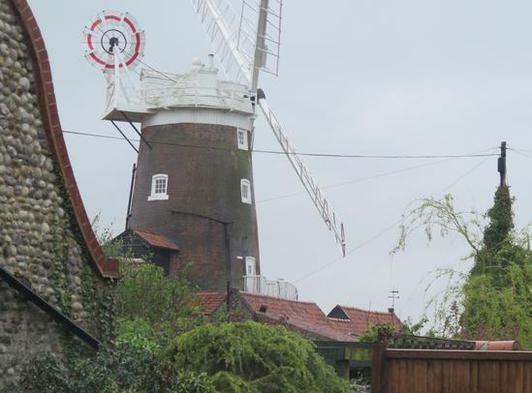 There are books and information on activities and attractions in the area. 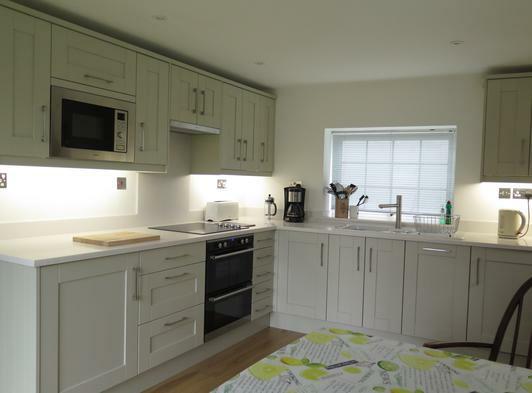 The brand new fully fitted kitchen has a double oven with ceramic hob, under counter fridge, microwave, washing machine and dishwasher and french doors open out onto the garden. 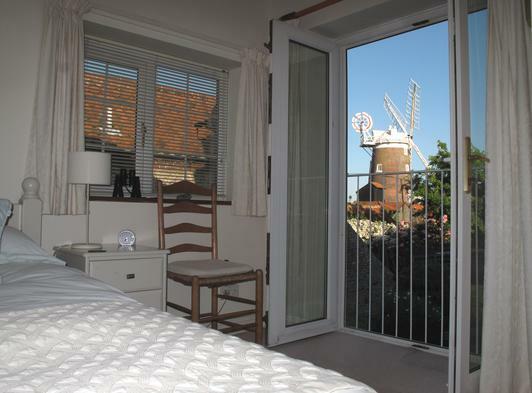 The main double bedroom has a large double bed and looks out onto Cley mill and the marshes. The second bedroom has a single bed. The cottage has one bathroom with WC and a superb power shower. Linens and towels are provided.